Well met on Audiko.net! 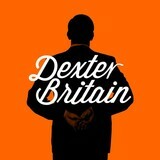 All you need is to download a free Dexter Britain ringtones for your iPhone or mobile. Take your favorite fragment from your favorite award-winning track - Ever Turning Mind, I'm Fine, Dear, Settling In, or any other track. We provide you with an option to gain your ringtone both in the MP3 and m4a formats, played by both mobile phones and iPhones. Just select a track, and choose free Dexter Britain ringtones download option.